The SuiteCRM Mautic Integrator by eVolpe was made for all the companies currently deploying or already using both of the systems. Are you facing difficulties trying to coordinate efforts between marketing and sales? Our connector is the best solution to help you solve that issue. Get the one of a kind, fully customizable SuiteCRM Mautic integrator by eVolpe! Integration of CRM and Marketing Automation software secures consistency of actions and comfort of working with just one database. As a result of SuiteCRM & Mautic integration, you will gain full control over your company’s image at all stages of the Customer Journey! 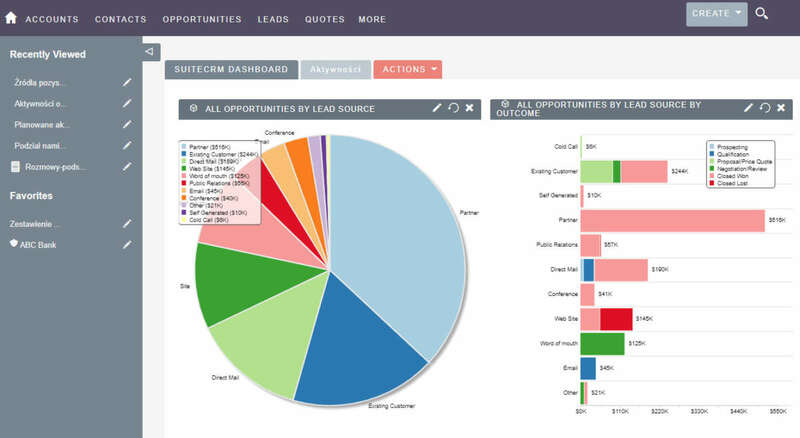 Leads, Contacts and Prospects in SuiteCRM synchronize with Contacts in Mautic. The synchronization is bilateral. Contacts in Mautic are automatically pushed to SuiteCRM and saved as Leads. It happens every time the action “Push Contact to integration” gets triggered. The whole history of operations in both systems gets merged and unified. That way it is possible to look up what actions have been performed without the need of switching software back and forth. Real time synchronization prevents creation of duplicates in both of the systems. Thus, it helps to avoid repetitions of tasks in Sales and Marketing. SuiteCRM users can easily control the scoring granted to their customers as a result of marketing actions analyzed by Mautic. After a contact has gained a certain amount of points in Mautic (added for opening e-mails, clicking links, downloading assets etc. ), the SuiteCRM & Mautic Integrator triggers actions in CRM (for example schedules a phone call). Everything following the next appropriate step workflow (which of course can be freely designed). Transfer of lists created in SuiteCRM helps to run dedicated marketing campaigns in Mautic. It is possible to create a customized target list with the use of the advanced reporting mechanisms in CRM and then forward it to Marketing Automation. Thanks to contextual links in SuiteCRM with just one click you are able to preview the equivalent record in Mautic. Mapping of specific fields allows simple and self-reliant configuration of the connected software. The Reports module in SuiteCRM significantly improves analytical abilities of Mautic. Thanks to combining functions of both the systems it is possible to analyze every aspect of performed operations.